Shenzhen Haoran Display Co., Ltd.
Q: What is the lead time of the products 9 A: Samples in stock will be delivered 1-5days after payment. The initial samples will be finished about 15days after the drawing is approved. Q: How long is the waranty period 9 A: Generally the warranty period is one year. 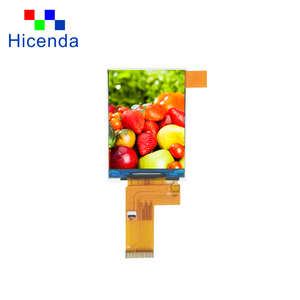 DAS main products are 1.5inch to 10.4inch color TFT , to meet different customer&rsquo;s request , we always keep developing new product . Our products cover a lot of fields , such as medical ,industrial , communication ,supermarket etc . From 2010 ,we developed transflective TFT and serial interface TFT , won some new customers in geological survey field ,smart furniture, elevator and so on. Shenzhen Shiny Technology Co., Ltd.
Alibaba.com offers 4,239 spi touch lcd products. About 94% of these are lcd modules, 1% are touch screen monitors. 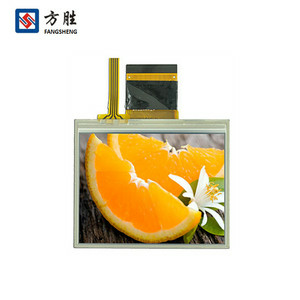 A wide variety of spi touch lcd options are available to you, such as free samples, paid samples. There are 4,245 spi touch lcd suppliers, mainly located in Asia. The top supplying countries are China (Mainland), Taiwan, and Hong Kong, which supply 98%, 1%, and 1% of spi touch lcd respectively. 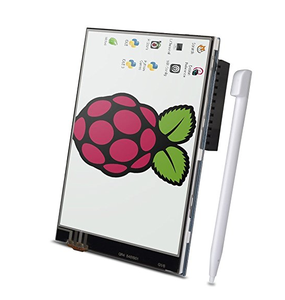 Spi touch lcd products are most popular in North America, Western Europe, and Eastern Asia. You can ensure product safety by selecting from certified suppliers, including 2,463 with ISO9001, 715 with Other, and 668 with ISO14001 certification.